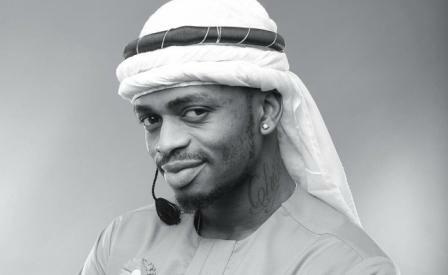 Home BIOGRAPHY HISTORY PHOTOS PROFILE Samia Suluhu Biography, Cv, Husband, Family, Age, Children, History & Photos. 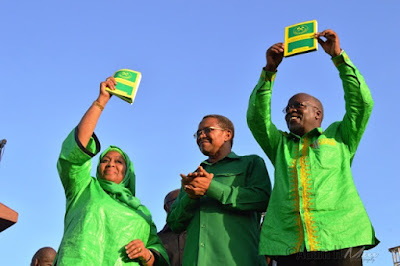 Samia Suluhu Biography, Cv, Husband, Family, Age, Children, History & Photos. 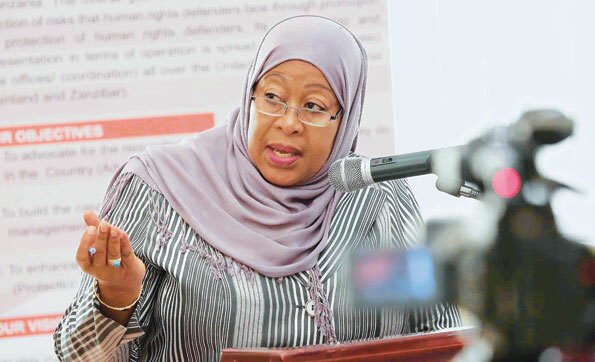 Samia Suluhu was Born 27 January 1960 in the Sultanate of Zanzibar, Samia is a Tanzanian CCM politician who has served as the Member of Parliament for Makunduchi constituency from 2010 to 2015. Upon completing her secondary education in 1977, she was employed by the Ministry of Planning and Development as a clerk and has since pursued a number of short-courses on a part-time basis. She graduated from the Institute of Development Management with an advanced diploma in public administration in 1986. 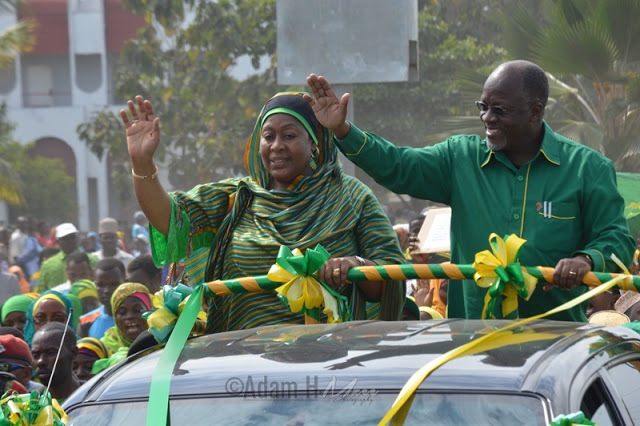 In 2000, she decided to join politics and was elected as a special seat member to the Zanzibar House of Representatives and was appointed a minister by President Amani Karume. Being the only high-ranking woman minister in the cabinet and was looked down on by her male colleagues because of her gender. 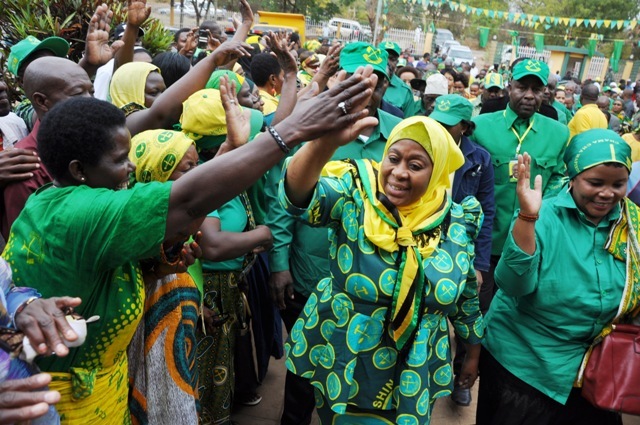 She was re-elected in 2005 and was re-appointed as a minister in another portfolio. In 2010, she sought election to the National Assembly, standing in the parliamentary constituency of Makunduchi and winning by more than 80%. 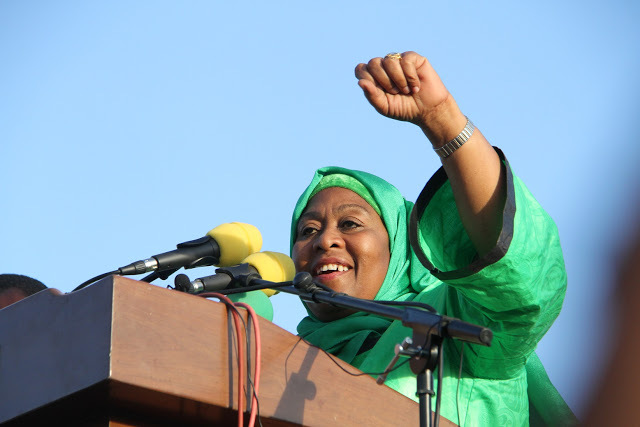 President Jakaya Kikwete appointed her as the Minister of State for Union Affairs. 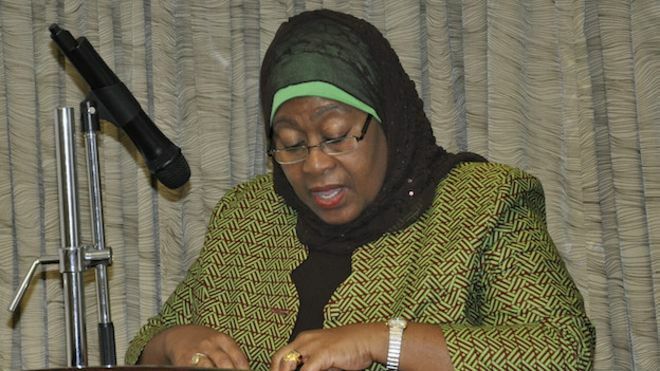 She has been Minister of State in the Vice President’s Office for Union Affairs since 2010 and served as a minister in the semi-autonomous region of Zanzibar in the administration of President Amani Karume. In 2014, she was elected as the Vice Chairperson of the Constituent Assembly tasked with drafting the country’s new constitution. In July 2015, CCM’s presidential nominee John Magufuli chose her as his running mate for the 2015 election,making her the first female running mate in the party’s history. 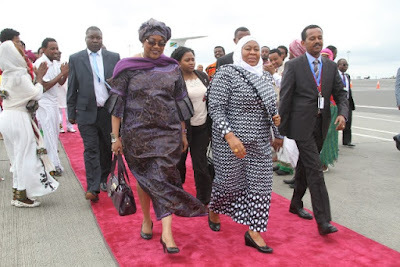 She is married Hafidh Ameir, a retired agricultural officer and the two have four children. 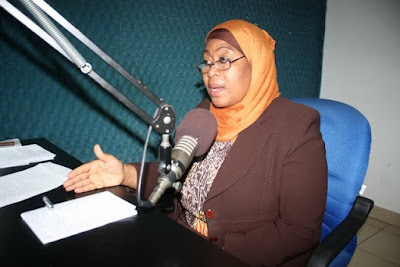 Wanu Hafidh Ameir,her second born is a special seat member of the Zanzibar House of Representatives.